We Have a Winner! And a New Giveaway! Random.org picked number 158 as the winner of the apron pattern and fabric, which was Carrie! Now, since that was so much fun I have decided to host another giveaway. This time I am giving away a $40 gift certificate to CSN stores. If you want to win all you have to do is head over to the CSN Track Lighting Store and tell me which item is your favorite. 1. Posting about my giveaway on your blog, and then come back here to link to leave a link in the comment section to your blog post. 2. Follow my blog using Google Friend Connect, and then leave a comment telling me you are following me. If you are already a follower, leave me a comment letting me know that as well. 3. Subscribe to my blog via email, and then leave a comment telling me you are a subscriber. If you are already a subscriber, leave me a comment letting me know that as well. 4. Follow me on Twitter and send a tweet about my giveaway. Then come back here to leave a comment letting me know. 5. Follow me on Facebook, and post a message to your Facebook page about my giveaway. Then come back here to leave a comment letting me know. If you do all of the above that will give you a total of six entries for the giveaway. I will draw for a winner at 8 PM Eastern time on Wednesday night, so this gives you just three days to get in your entries. I wanted to note that I am not receiving anything from CSN stores for hosting this giveaway, nor am I in any way affiliated with them. I'm loving the Pfaltzgraff Patio Garden 16 piece place setting. Thanks for the generous giveaway! I follow your blog with Google friend connect! My favorite is the Vaxcel Euro Vanilla Ice Glass Monorail Spot Light! 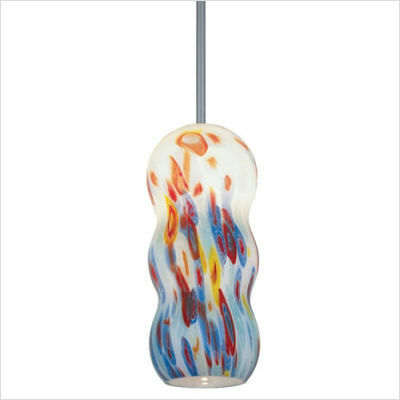 I like the LBL Lighting - HS268 X - Madeleine Mini Pendant - Fusion Track Adaptable. I really like the mini pyramid in brushed nickle w/blue.Pretty. I also follow you on Google Friend Connect! 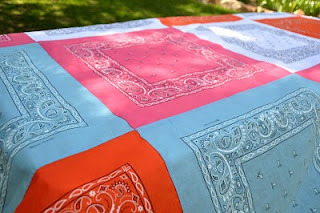 Bandana Quilt Tablecloth from The Aesthetic Nest. Growing up I always loved my grandmother's green beans, they were delicious and my favorite vegetable. Here is the recipe that she always used. In the bottom of a skillet fry bacon, and set aside to cool a little. In the bacon grease fry minced onions until translucent. Dump the onions and the bacon grease into a saucepan. Be sure to add the bacon grease this is where the flavor comes from Add in the green beans. Crumble the fried bacon up into small pieces and add into the mixture. Salt and Pepper to taste, be sure to be generous with the pepper! Bring the beans to a boil, reduce heat and let simmer for fifteen minutes. With the summer weather heating up no one around here seems to be in the mood for heavy meals and it has me looking for light cooking ideas. 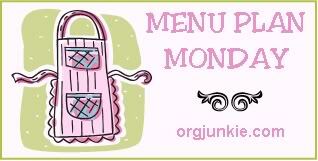 This week is a mix of old and new recipes that hopefully will be the right balance of filling and light. A recently divorced Disney loving mom trying to navigate new relationships, work full-time, parent two teenagers, and hold it all together. It's Too Hot to Go Outside Let's Sew! 200 Posts and 40 Followers = A Suprise Giveaway! Happy Birthday to My Baby Boy!